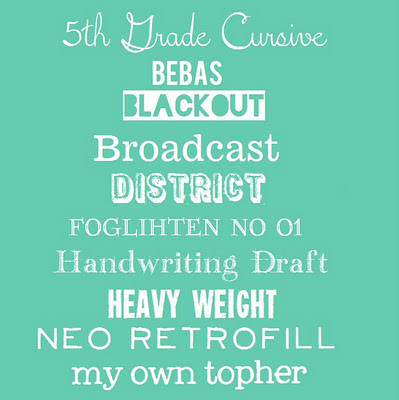 i am totally obsessed with fonts as of late. it started with trying to redo my banner..
and ever since i've hooked up the silhouette, it's gotten worse..
i'm off to pack up my scrapbooking goodies for a weekend with my friends! Hi Kristy, I haven't ever downloaded fonts before, I just I did it... they landed in the 'downloads' folder... then what do I do with them?